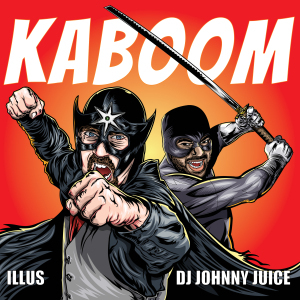 In celebration of FREE COMIC BOOK DAY I have put up my album “KaBOOM” for FREE on Bandcamp. Click “Buy Digital Album” and pay what you want. You can pay zero or more. It’s up to you. The album was produced by DJ Johnny Juice and features Chuck D, R.A. the Rugged Man, Apathy, Craig G, Blueprint and more. It’s boom bap superhero theme music for all my HIPHOP Comic Book heads. Check it out and support.